A new favorite starring Pikachu and the most beloved Pokémon in a timeless Little Golden Book! 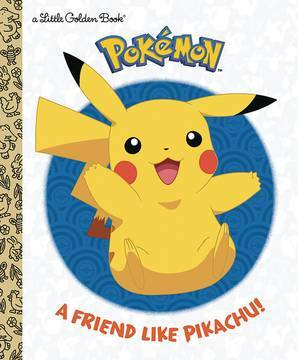 Explore the world of Pokémon with Pikachu in this Little Golden Book that's perfect for Pokémon Trainers ages 3 to 7 and fans of all ages. The Pokémon universe is comprised of a unique group of more than 700 creatures that players can find, capture, train, trade, collect, and use in battle against their rivals in the quest to become top Pokémon Trainers. Each Pokémon is classified by specific types-such as Fire, Water, Grass, Psychic, and Fighting-each with its own strengths and weaknesses..